Discover the next evolution of cannabis retail with Cova at CannaCon in Seattle. 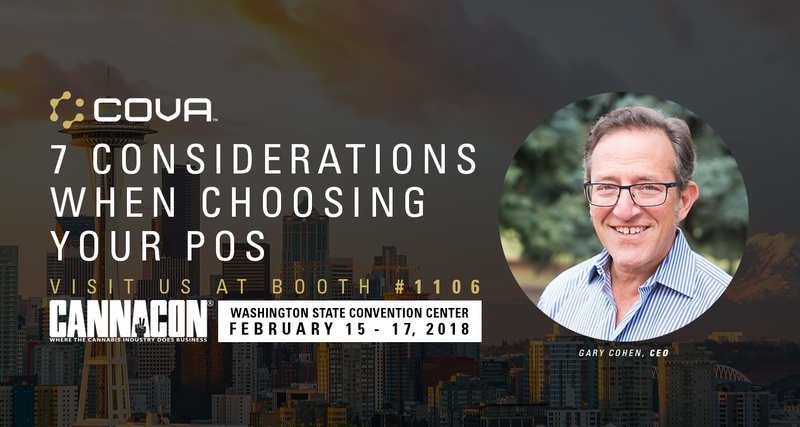 We'll be unveiling a technology suite of innovative cannabis retail solutions that will save you time and money, as well as speaking on " Selecting The Right Tools to Power Your Cannabis Business: 7 Considerations When Choosing A POS" on Friday, February 16 at 3:50 p.m. You won't want to miss it! Join us at booth #1106 for a personalized tour and live demo to see how easy it is to use Cova POS with its seamless Leaf integration. As a bonus, those who RSVP now will receive $500 off our launch fee.